STOCKHOLM, SWEDEN - JANUARY 13, 2018: A Swedish Female Arm Wrestler.. Stock Photo, Picture And Royalty Free Image. Image 94169884. Stock Photo - STOCKHOLM, SWEDEN - JANUARY 13, 2018: A Swedish female arm wrestler preparing with chalk at the event Arm Battle of Sweden outside of Stockholm January 13, 2018. 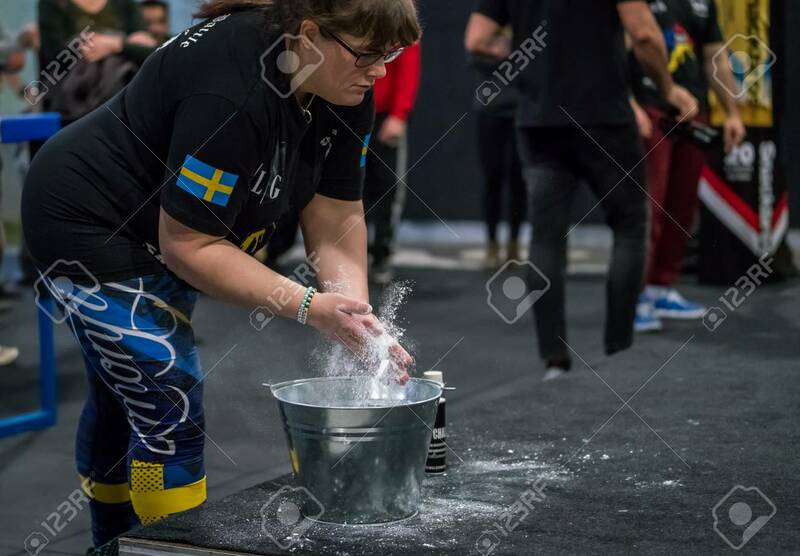 STOCKHOLM, SWEDEN - JANUARY 13, 2018: A Swedish female arm wrestler preparing with chalk at the event Arm Battle of Sweden outside of Stockholm January 13, 2018.